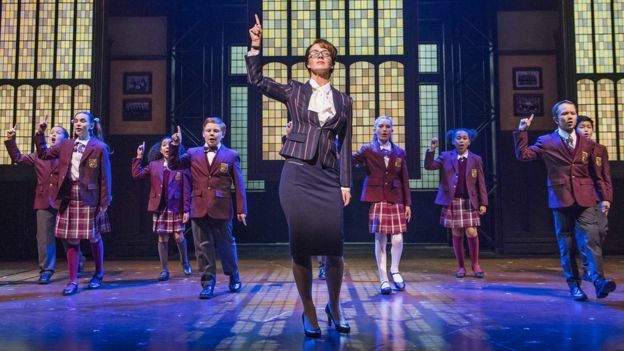 School of Rock is the newest musical to hit the West End and it does so with a bang. Based on the movie starring Jack Black but with a new score by Andrew Lloyd Webber and book by Julian Fellows it is a fun show filled with an obscene amount of talent and numerous hits. The show tells of Dewey Finn who wants to make it as a rock star however his dream looks rather unlikely when his band kicks him out. At the same time he is faced with demands for his rent so when the opportunity arises to pass himself off as a supply teacher in place of his housemate and best friend at top private school, Horace Green he seizes the opportunity. He soon however finds out that his students are talented musicians and he forms a band with them in order to compete in The Battle of the Bands. School of Rock succeeds for many reasons but a huge factor is the complete awe that the audience is left in with the children in the cast playing their own instruments. They don’t just play them but they own them. Katie played by Selma Hansen the night I saw it (they have 3 sets of children) was incredibly watchable every time she picks up the bass and her pout when doing so was perfect for the selfie era we are currently in. Zach was played by Tom Abisgold and his guitar skills were impressive, as were his knee slides. It wasn’t just the children playing the instruments that were impressive however. They all had bundles of personality and their individual characters were easily distinguishable, from bossy Summer played by Eva Trodd to the camp Billy played by Logan Walmsley. The score is loud, unapologetic and fits with this show perfectly. It opens with ‘I’m Too Hot For You,’ sung by Dewey’s former band No Vacancy which sets the hilarious tone for the rest of the show right from the outset. 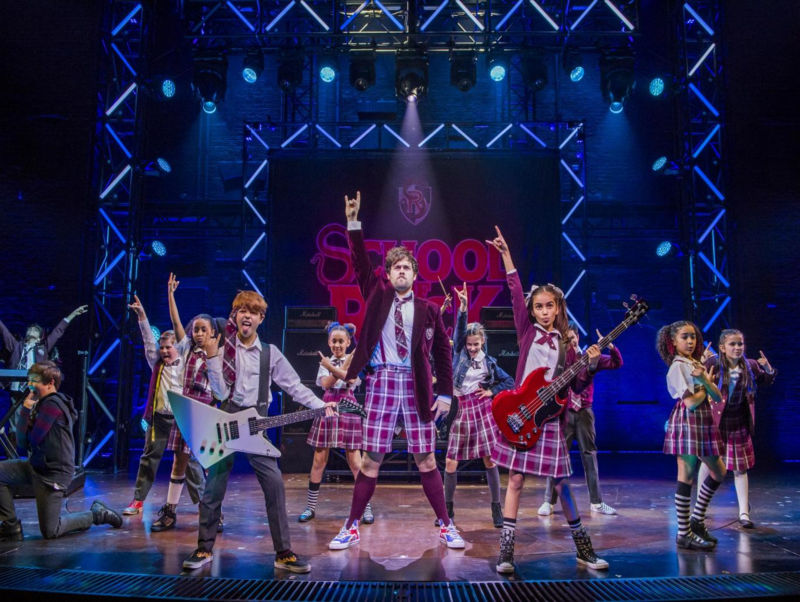 The huge hit from this show has to be ‘Stick It To The Man’ which is emblazoned across all of the School of Rock merchandise. You can understand why, this song is catchy and its lyrics sum up the feeling of the show perfectly. The book is funny, whilst based heavily on the original screen play, Fellows brings the comedy to life and relevant jokes are inserted. It never drags and unlike a lot of musicals I’m not simply waiting for the next big number but loved finding out about the plethora of characters in this show. One of the reason behind the success if that many of us can identify with these children that are being portrayed, I don’t mean in the ridiculous talented child prodigy way but just there are elements of their characters a lot of us are probably able to see in our former child selves. School of Rock screams fun it has become possibly one of my favourite shows on in the West End at the moment, with an insanely talented cast, funny book and catchy score what is there not to like! Get down there and take all the family with you! For more info and tickets for School of Rock visit their official Website. If you like this review you might also like my review of Beautiful. 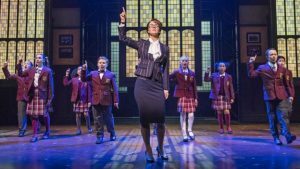 Pingback: 2016 Roundup by Musical Theatre Musings.